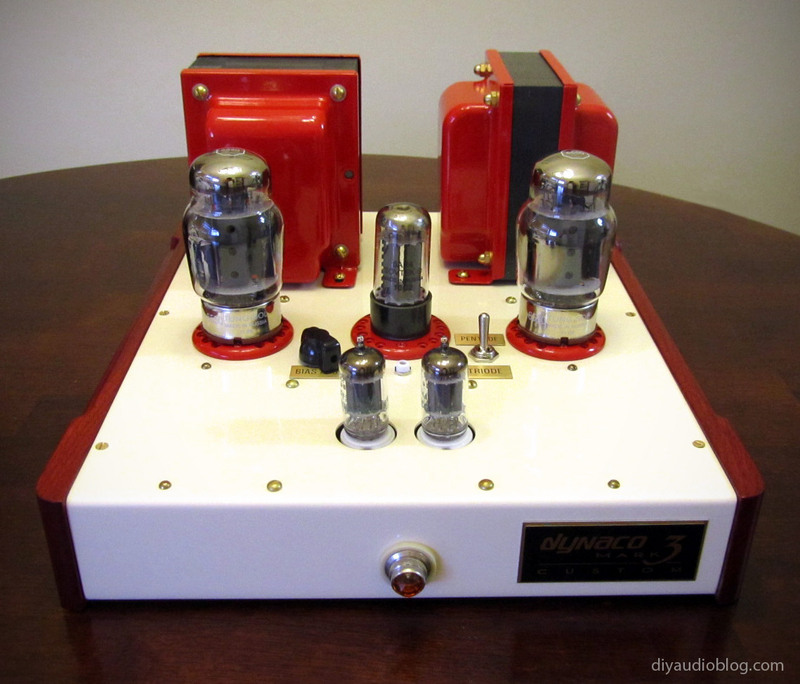 The Dynaco Mk III monoblock was introduced by Dynaco was back in 1957, just after the Mk II and the PAM-1 pre-amp and two years before the famous ST-70. The amp was designed by David Halfer and Ed Laurent, and the kit sold for a mere $79.95 in 1950s dollars. 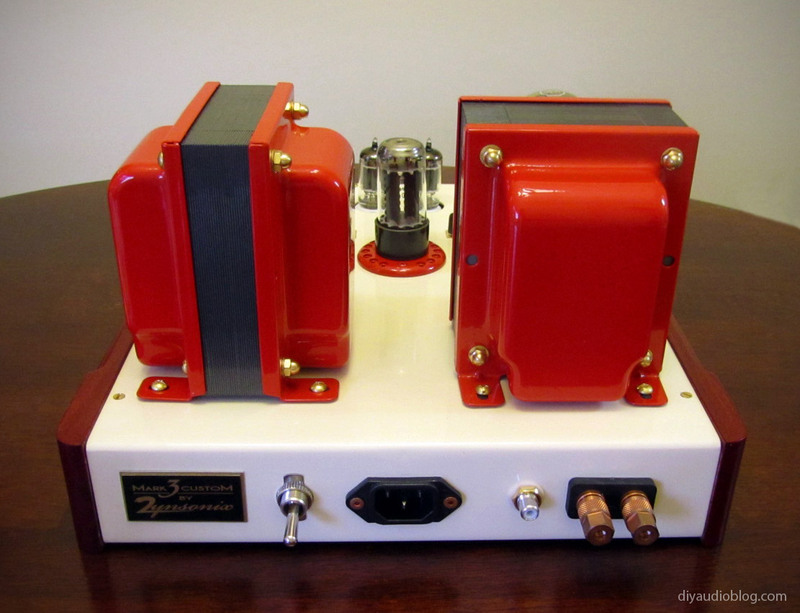 Each monoblock makes use of a pair of KT-88 power tubes, a 6AN8 driver tube and a GZ-34 rectifier tube. Later in the Mk IIIs life, the power tubes were switched to 6550s. The output power is rated at a very health 60 watts per channel, which should easily drive all but the most demanding speakers. After building slightly modernized variants of the Dynaco ST35 and ST70, I felt that the Mk III was the next logical step. Of course there are some deviations from the original design that I will be pursuing. 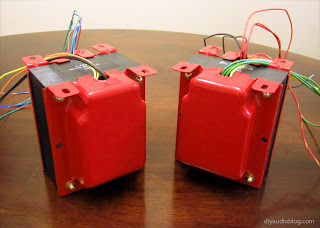 The first is based out of a concern that was addressed on the SDS Audio Labs page, "The capacitors in the [mkIII] power supply are not rated at a high enough voltage for the power transformer. This results in the quad cap being run over it's rated voltage every time the amp is turned on. The first section of the original quad cap is rated at 525 volts and the B+ goes as high as 585 volts during start up. 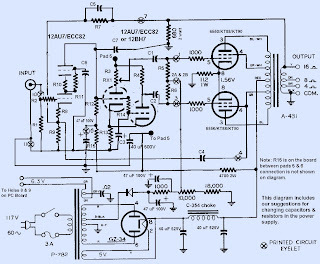 This is due to the fact that the rectifier heats up and begins conducting before the power tubes heat up and start drawing power from the high voltage supply." Thankfully, SDS Labs offers a solution to this: a capacitor board that can handle anywhere from 630-800 volts depending on the configuration. 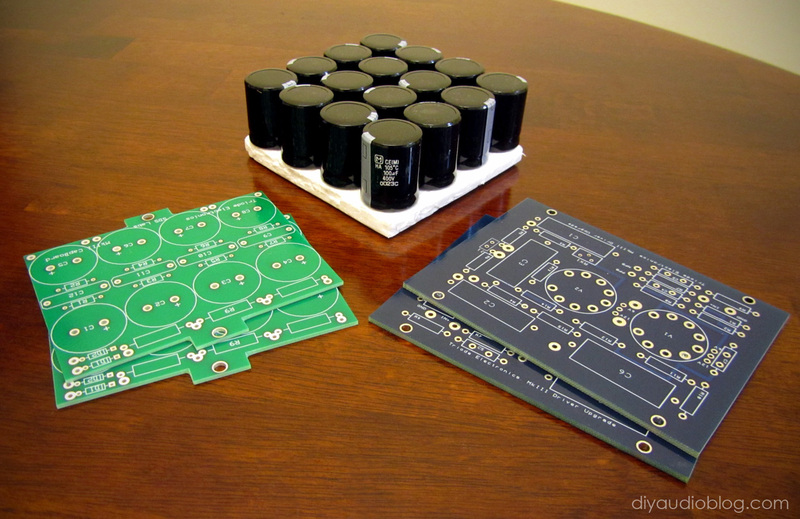 The SDS Labs board is currently available from the folks over at Triode Electronics, and even populated, it doesn't cost much more than a typical can capacitor. The second deviation would be a more modern driver board for the Mk III. There are currently several on the market, one called the Poseiden from DIYTube, one from Tubes4HiFi that incorporates additional electrolytics on the board its-self, one from Curcio Audio and one from Triode Electronics. 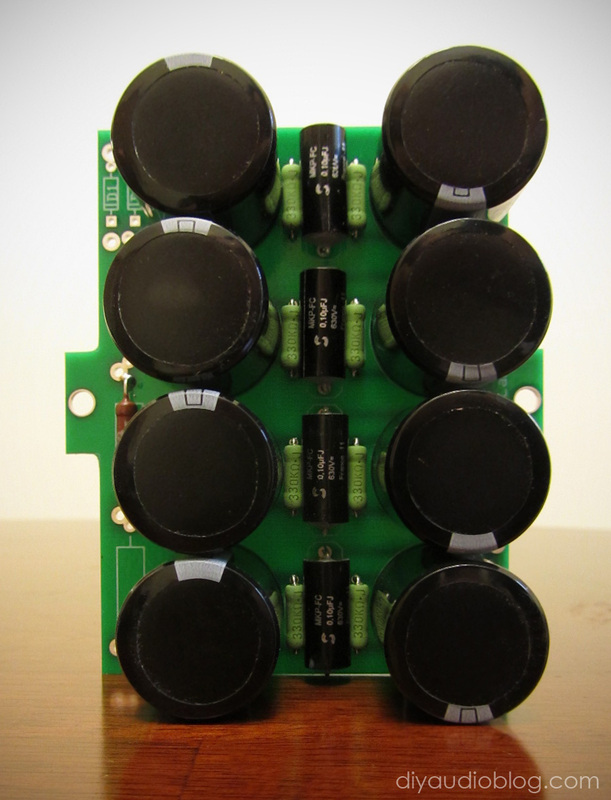 All four boards make use of two driver tubes as opposed to the stock version's single tube. Since the SDS cap-board was being utilized, I didn't feel that the Tubes4HiFi board's additional capacitors would be necessary, and the Curcio board makes use of 6922s, which have been used for audio for many decades making it difficult (read: expensive) to get vintage tubes. 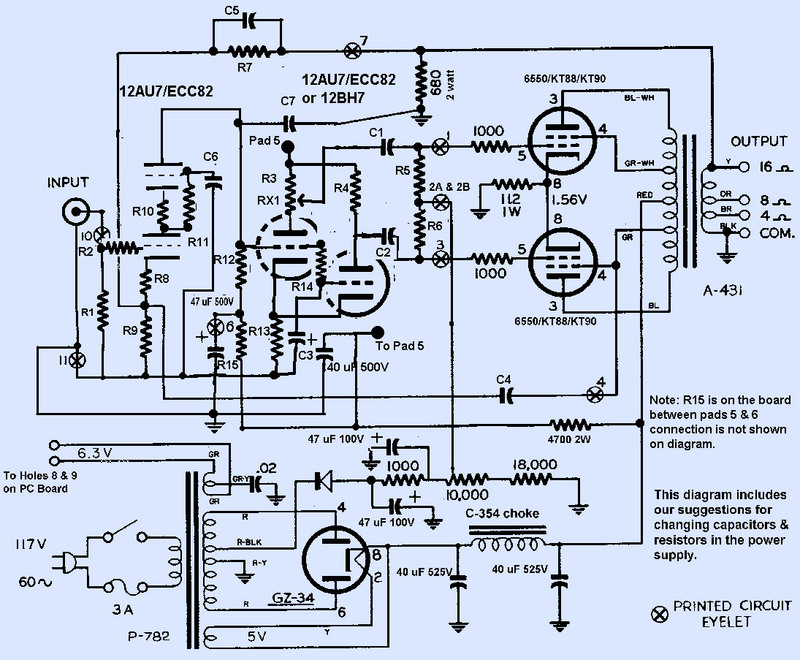 The Triode Electronics version uses a pair of 12AU7 (or others depending on the configuration) and the Poseiden uses a 12AU7 and 12AX7 (or others as well). 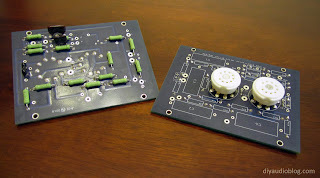 Both seemed to be perfectly up to the task, so the Triode version was chosen as I was already putting an order in with them for the cap-boards. Finally, in order to make the build a bit more unique, a gorgeous pair of 10x13 blank chassis were ordered from eBay seller po1019. These arrived with walnut wood sides ready for finishing. 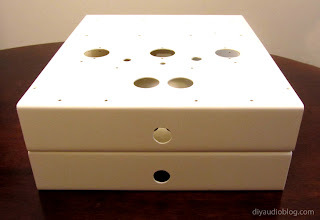 Holes will need to be drilled to accommodate the tubes, transformers and other various and sundry switches and connectors, but this will offer a bit more room to arrange things within the chassis. The first step was to begin arranging the chassis and drawing out where the boards, tubes and transformers would be sitting. 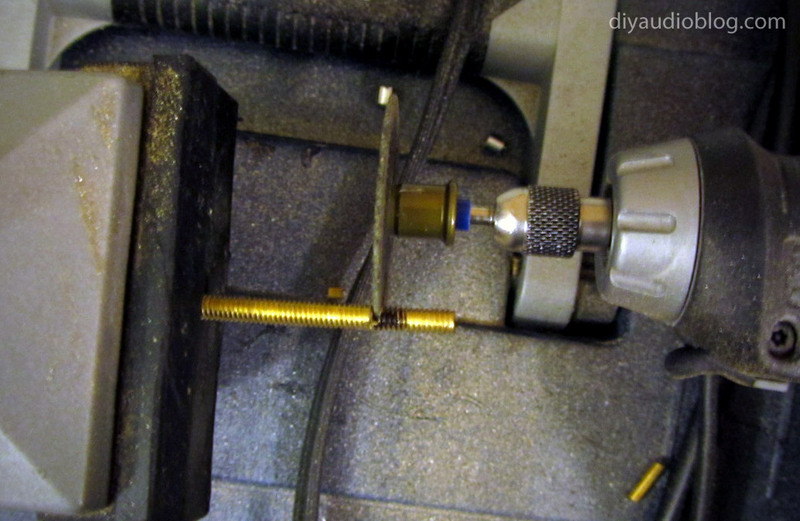 This would prepare the chassis for accurate holes to be drilled on the drill press. 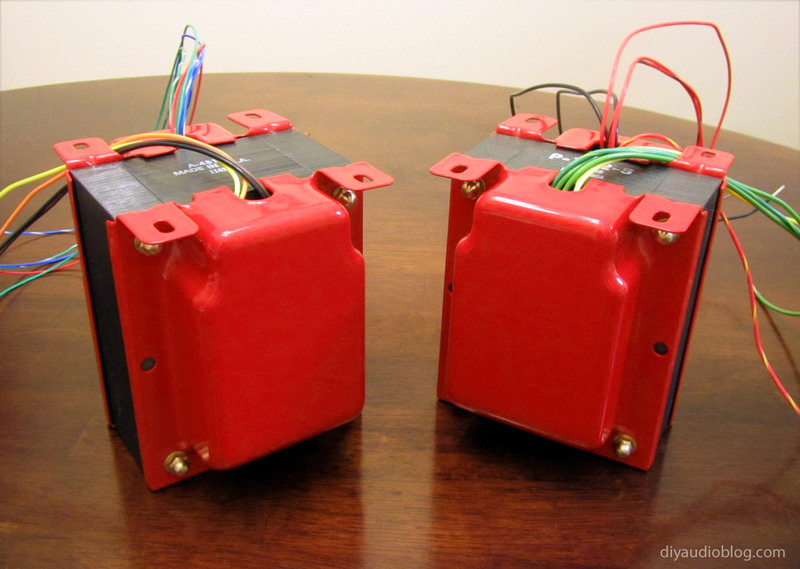 A permanent marker was used in this case as the chassis would be powder-coated, however light pencil markings would be used if the chassis would be left as bare aluminum. Next would be the population of the capacitor boards. 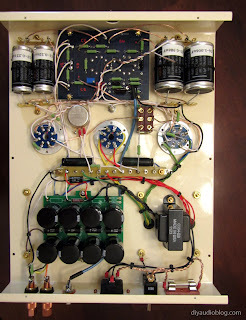 The way the capacitor board is set up, it runs the caps in series, which halves the capacitance but doubles the maximum voltage rating. Two 100μF 400V caps in series is 50μF 800V, as long as the proper dividing resistors are used between them to split up the load effectively. Therefore the whole board offers four banks of 50 micro-farads. I used some 30mm tall by 25mm wide Panasonic (Matsushita) snap-in caps to fill up the banks and some Koa Speers as the dividing resistors. There is also room for bypass capacitors on the board, Solen 0.1μF 630V caps were used for that purpose. 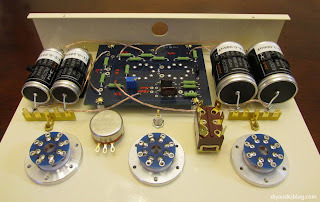 The Triode Electronics driver boards were then populated with a variety of Kiwame two watt carbon film resistors, silver mica capacitors and a pair of gold-plated ceramic tube sockets. Kiwame carbon film resistors are chosen for their warm and natural sound compared to modern metal film. Also, the values don't "drift" over the years like sweet-sounding carbon composition resistors, which is another benefit. 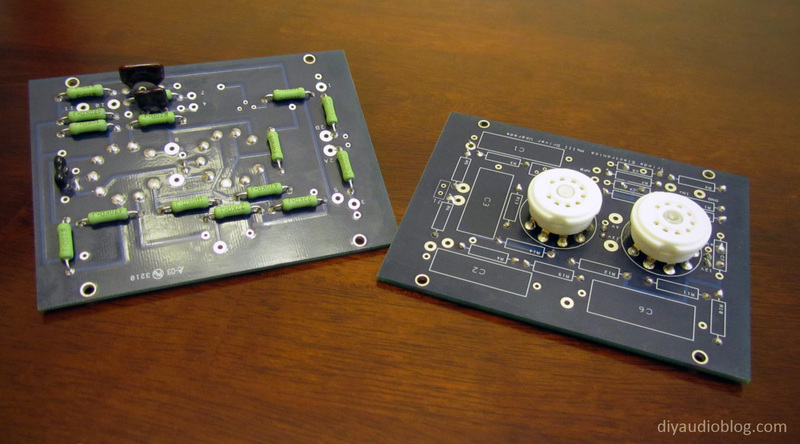 The capacitors for the board are AmpOhm paper in wax, which will be mounted separately and leads run to the board given the size. Since the design is vintage, I figured some vintage style paper-in-wax caps would be a nice feature. Other nice parts for the build include Sprague Atom electrolytics and Cardas bare-copper binding posts. One of the most time consuming parts of any build is preparing the chassis. This involves laying out the parts where you think they would look and perform the best, measuring to verify your lines are straight, marking the chassis and drilling / punching a ton of holes. Since the two 9 pin tubes sit to the right of the Triode board and I wanted the tubes to be centered on the chassis, the board is offset to account for this. 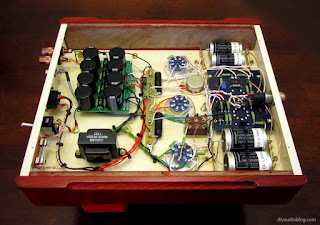 The three eight pin tubes sit behind the board, and the big hulking power and output transformers will sit in the back. The next bit of work is staining the mahogany wood panels that came with the chassis. 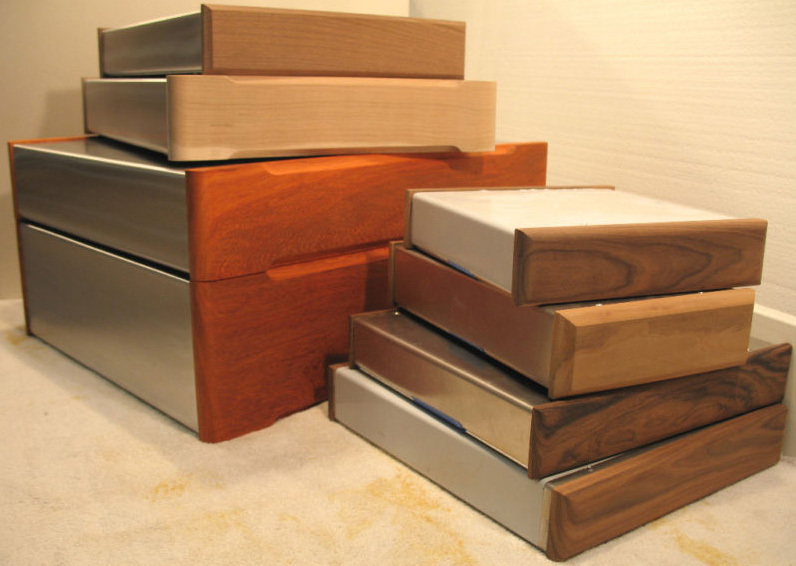 These amps will feature a red and cream color scheme rather than the typical copper and antique copper colors just for the sake of keeping things fresh and interesting. 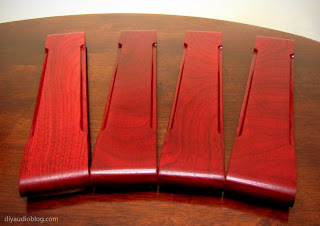 So the wood panels are being stained a nice deep red with a water-based dye. The wood panels were initially sanded with 220 grit sandpaper and would be stained red like the Frugel Horn Speakers with water-based stain. Bright Red Trans Tint was added to a clear tint base to get a nice bright red. 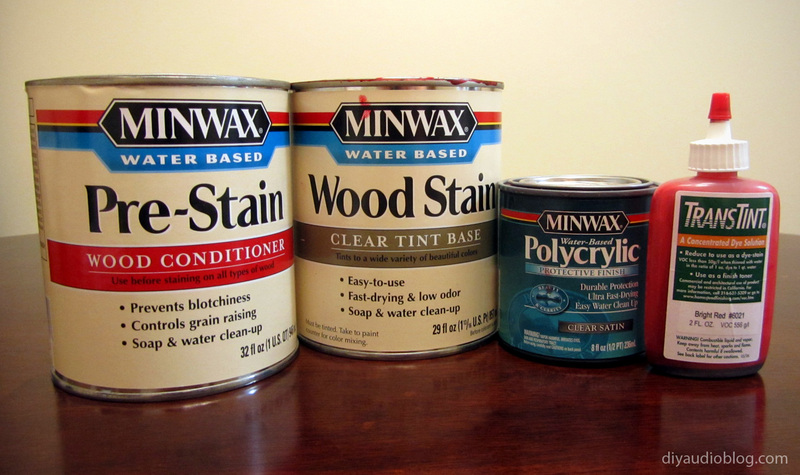 Water-based stain has it's own set of products for pre-stain prep and finish, which you can see in the below photo. 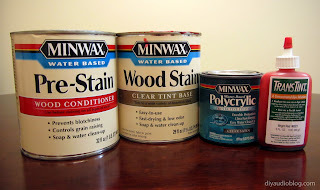 The initial prep includes a pre-stain layer, which is followed by a light sanding. 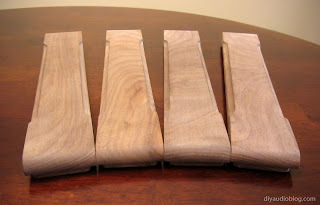 This prevents the grain for raising inopportunely during the staining process. This is followed by the wood stain. The TransTint is to be mixed at a half bottle per 32 ounces; in this case the whole bottle was used for a deeper, more saturated tone. Three coats of this stain were applied to get the wood evenly dark. Next, three layers of water-based satin Polycrylic are brushed on to seal up the finish. Finally, the four pieces were rubbed with a wax-based product to give them a bit of a luster. Both chassis and the transformer bells came back from the powdercoater, the chassis being a nice cream color and the bells a vibrant cherry red. The bells can be installed back on the big beefy power and output transformers now that they're painted. Rather than use the existing hardware, brass screws, washers and acorn nuts were used. Since brass hardware is harder to come by than its zinc-plated counterpart, one has to make-do with what's available, which usually includes cutting longer size screws to fit. Using a small tabletop vice and a rotary tool with cutting disc, the screws are quickly trimmed to the perfect length. The process is loud and metal dust goes everywhere, so both hearing and eye protection were used. Once a full set of hardware has been adjusted to fit, the bells can go back on the transformers. With the chassis fully prepped, the switches, jacks and other connectors could be fastened in place. Starting with the rear panel, a 3 prong power IEC inlet, heavy duty SPST power switch, fuse holder, Cardas copper binding posts and a Cardas RCA jack were installed. Next came a set of PTFE / Teflon tube sockets and aluminum base plates. The aluminum tube base plates came from a company called VT4C in Hong Kong, I don't know of anyone else in the world who makes them. They are really only for decoration purposes, and were powdercoated red to match the transformer bells. Holes were punched with a Greenlee die-cut tool for the tube sockets and two small screw holes were drilled adjacent each punched hole to mount the plates. 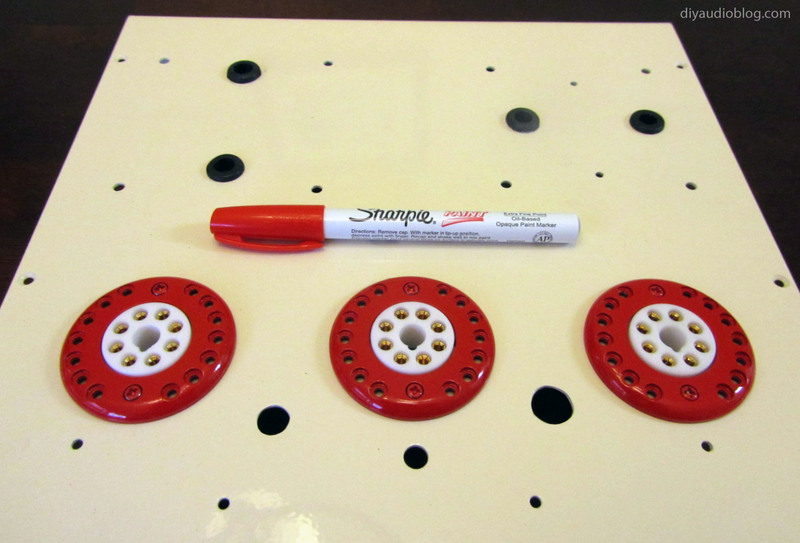 The heads of the screws for each surround were painted red using a Sharpie oil-based paint marker. 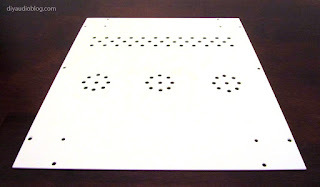 The bottom of the base plates are compatible with aluminum rings that VT4C sells. These work with Teflon tube sockets and allow one to tighten the socket in place without using a traditional socket mounting bracket. To facilitate the soldering to the pins of the tube sockets, PCBs are fastened to the pins with solder which provides an empty solder hole for each pin. 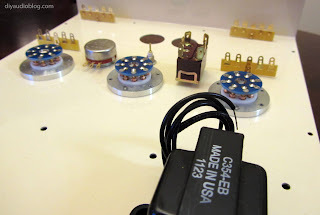 Also installed were the C354 choke which is directly under a transformer, a bias pot made by PEC, a heavy duty DPDT switch to allow for triode and pentode mode switching and a set of board-mounted solder tabs where the oversized paper-in-wax AmpOhm caps will reside. The gold-plated board-mounted solder tabs are from VT4C as well, they are the first gold-plated solder tabs I've seen that were reasonably priced. The board was installed next using a set of aluminum standoffs, screws and locking washers. As noticeable in the picture below, the board is offset so the 9 pin tubes end up in the middle of the chassis. 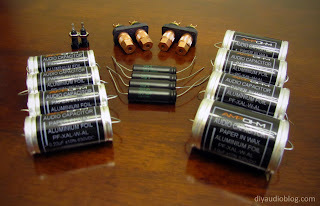 The AmpOhm caps were mounted in such as way as the smaller 0.22uF caps were on one side and the larger 1uF caps were on the other. It worked out to be a perfect fit, which was carefully verified before the caps were ordered ahead of time. The caps were arranged so the lead would be soldered to the solder tabs, then a piece of Kimber TCSS wire was run to the proper place on the board. The bottom of the board was labelled in red with the cap locations for ease of installation. 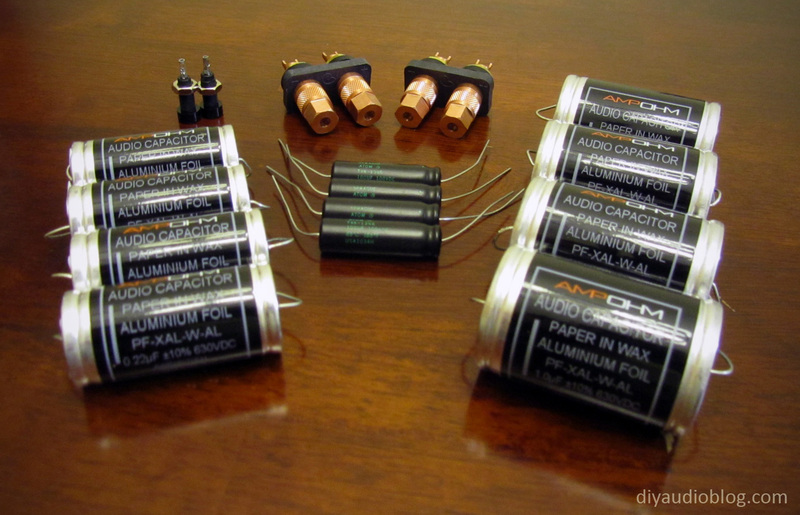 Each capacitor was aligned so that the outer foil and inner foil were in the proper place. The big hulking transformers were then fastened to the chassis. 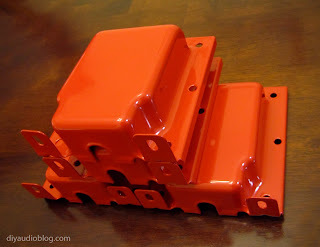 A bit of the powdercoat was sanded off around the screws on the transformer bells and the chassis so that the bells would be properly grounded. 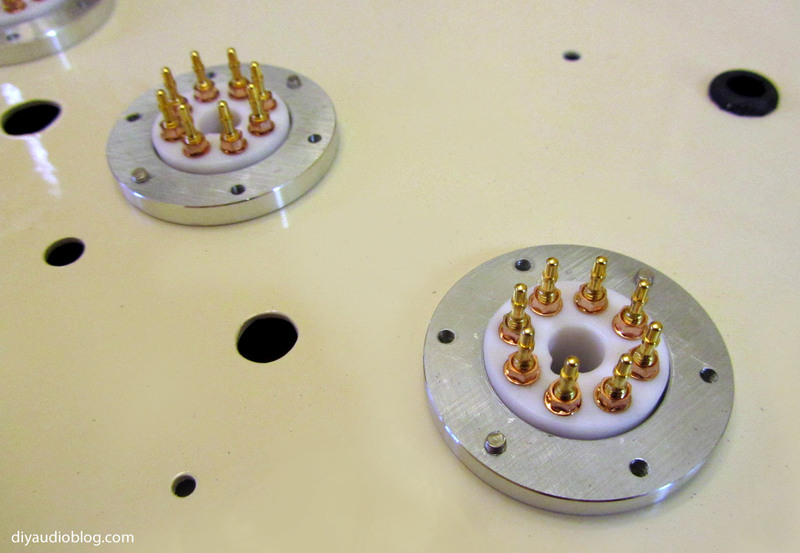 Rubber washers were also added between the transformers and the chassis to ward off a little bit of the vibration. Nearly every inch of the chassis is being used, so the SDS cap board and C-354 choke are mounted underneath the transformers. A very handy turret tag board was fastened to the middle of the amplifier, this would be used mainly for the bias circuit. The amp can finally be wired up now that everything is in place. The transformers from Triode Electronics feature nice silver plated copper in Teflon wire, which really beats the typical PVC covered wire that comes with most transformers. Not only is there less loss from the dielectric, but you don't have to worry about it melting when soldering things that require a lot of heat like the binding posts. Nearly all other wiring was done with Kimber TCSS wire (19 gauge copper in Teflon). This was doubled up for the power inlet (aggregate 16 gauge). 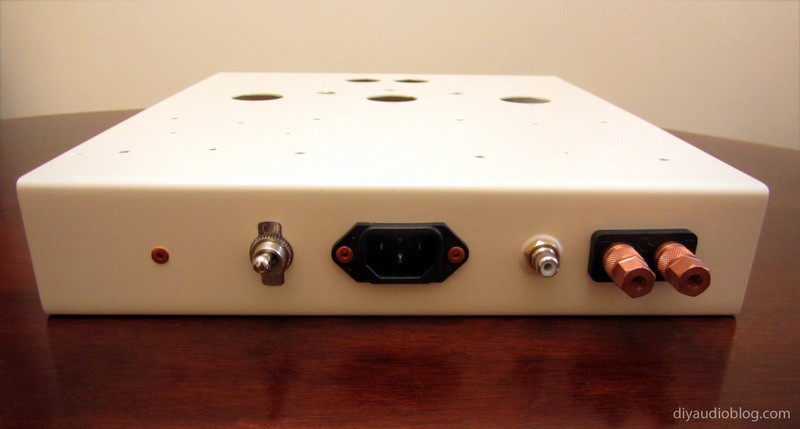 Shielded Cardas 2x24 was used for the signal input to help prevent EMI interference. 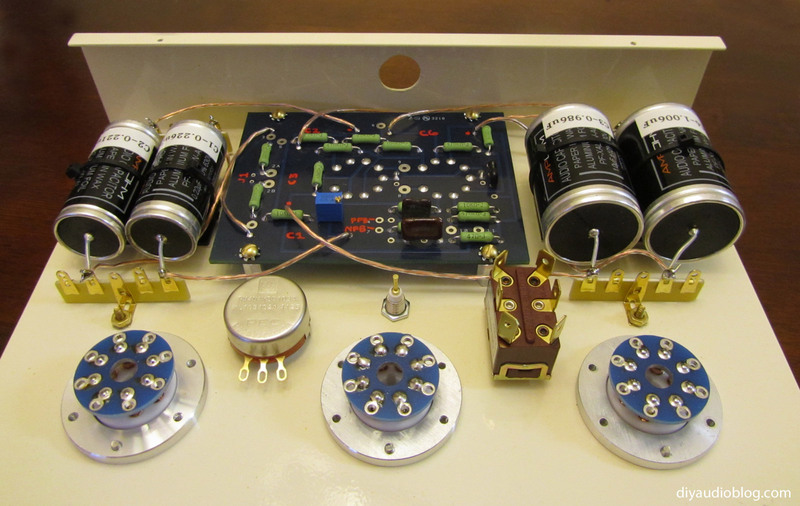 As pictured below, nice quality Sprague and Solen caps were used for the bias circuit. Compared to the original layout in the 9x9 chassis (pictured below), the custom 10x12 chassis allows for more air around the parts and a more logical topology in my humble opinion. The transformers were able to be moved further away from one another, the bias test point was able to be conveniently moved to the top of the unit, and the tubes were able to be arranged so that the amp has a definitive front and back, which was harder to identify in the original version. Also the gargantuan AmpOhm caps would never have fit in the original chassis. The pilot light was then installed, running off of the 6V tube heaters. The SDS cap board was also grounded in a couple of different places. Now the tubes could be installed and the chassis decorated with brass plates. A relatively low-cost tube compliment will be used with these monoblocks, the Tung Sol 6550 power tubes, Sovtek 5AR4 rectifier and JAN 5814 (12AU7 equivalent) driver tubes. All that's left to do is finish up the bottom plate prep. A number of holes were drilled for the sake of ventilation, which is especially important for tube amps as they can get pretty warm. 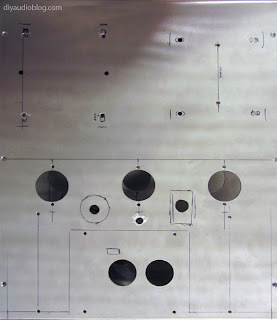 A number of holes were drilled to go directly underneath the power and rectifier tubes, as well as under the chassis where the transformers sit. Looking to take your audio rig to the next level? Contact Zynsonix Audio for audiophile grade solutions at an affordable price. Very nice work! Is there any bending of the chassis due to the weight of the transformers? I think the aluminum is only 0.063" thick. Perhaps the fact that it has been formed into a U-shape gives it enough rigidity. Thanks! Actually no chassis bending in this particular case, mostly because the chassis are relatively small and there are the wood panels supporting both sides. My Get Set Go headphone amp did actually require some support as it was bending due to the weight of the transformers. I ran thick aluminum "L" bars across the width twice and secured them with screws to prevent the warping. Concerning the sound : is there a subjective upgrade compare to your previous Dyna ST 70 ? Hi Bruno, thanks for your compliment. The two amps have distinctly different sound signatures. The ST-70 from Bob Latino is syrupy smooth and warm, while the mkIIIs are more crisp and detailed. I actually don't have much experience with compression horns so I can't offer you an opinion there. 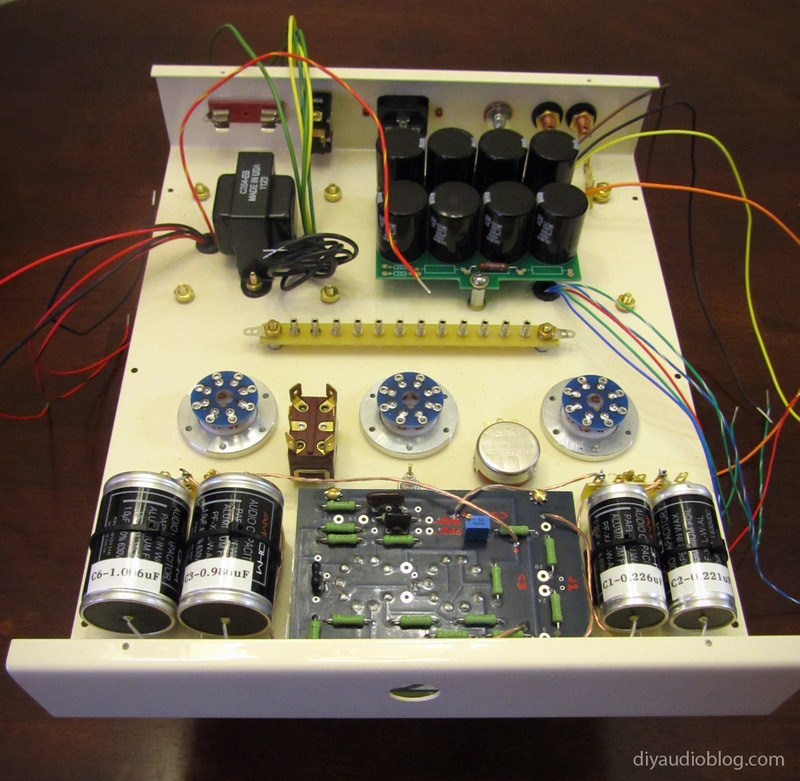 I believe I could achieve the same work (I finish my current DIY project and then I start the Dynaco Mk3 building), but I have a question regarding the chassis. You say "a gorgeous pair of 10x13 blank chassis were ordered" : are the dimensions in inches ? Do you know if your eBay seller still sells these chassis ? or another place to order them ? It seems you have chosen he 6550 instead of the KT88 : what are the reasons of your choice ? Hi Muchel, the KT88s and 6550s are interchangeable in many amplifiers, they have a different type of sound. The 6550s are a little bit cheaper and *GENERALLY* have a warmer "tubier" sound than the KT88s which are a bit more detailed in the top end. There are plenty of exceptions in operation, but that's why I chose them.